The average life expectancy in Russia will exceed 71 years in 2015, Russian President Vladimir Putin said in his annual address to the Russian Federal Assembly on Dec. 3. 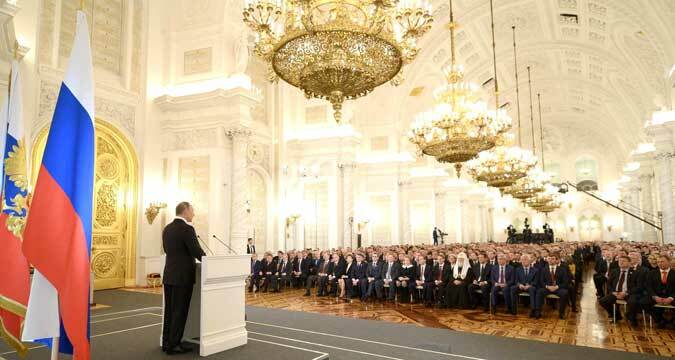 "The average life expectancy in Russia has grown by more than five years over the past decade and, based on preliminary estimates, it should exceed 71 years this year," Putin said. "But surely, there are still a lot of problems that we have to resolve," Putin said, noting that the Russian healthcare system will switch fully to insurance principles starting in 2016. "It is the direct duty of insurance companies operating within the mandatory medical insurance system to defend patients' rights, including in the event of an unfounded refusal to provide free medical aid," he said.